The International Board of the Year of Liv Language and Culture has approved the calendar of events in Latvia, Estonia and Finland. On February 23, the program was presented first to the SAEIMA parlamentarians of the Comission of Education, Culture and Science . At the end of 2010, the International Association of Liv Friends and the Liv Culture Center announced the Year of Liv Language and Culture which has met approval with both state institutions and non-governmental organizations. They come up with ideas and offer practical and financial assistance. This week the first events of the program are held to mark the International Day of the Native Language. The Liv Culture Center presents the Liv language to children and youth all over Latvia: on February 21 in Riga and Kolka, but on Febraury 25 in Jūrmala and Pāle. A competition of children’s drawings for the first Liv ABC has been announced in Latvian schools. Preparation of the mobile Liv art exhibition ‘Līvõd Kuņšt’, days of Liv poetry, international scientific conferences , events to mark the opening of Liv Homestead at the Open Air Museum, the birthday of the singing group ‘Līvlist’, the monthly periodical ‘Līvli’ and www.livones.net are among the most notable events of the International Year of Liv Language and Culture. The largest ever Liv-Estonian-Latvian dictionary, compiled by Tiit-Rein Viitso, a linguist and chairman of the International Liv Friends’ Association , will be published in Estonia. The government of the Republic of Estonia has recently awarded T.R.Viitso F.J. Wiedemann’s Prize for his life-long accomplishments. A collection of articles by Latvian, Estonian and Finnish scientists ‘The Livs: Land, Nation, History’ will be also published in Estonia, while ‘The Origins of the Liv Written Language’ by Valts Ernštreits will see the daylight in Latvia. 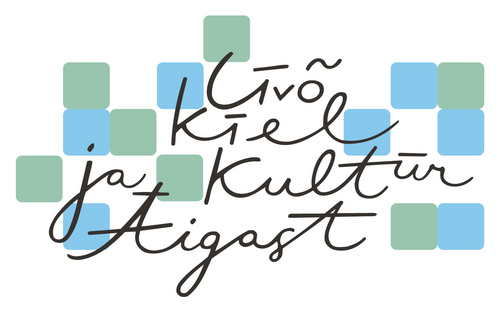 The Liv Culture Center in cooperation with the Estonian Native Language Society will publish the Liv ABC written 75 years ago but never published before. In Estonia the International Year of Liv Language and Culture is supported by Tartu University, the Institute of the Estonian Language, the Native Language Society, Fenno-Ugria; in Finland- the Tuglas Society and in Latvia – the Latvian Academy of Sciences, the Latvian Language Agency, the Latvian National History Museum, the Latvian Ethnographical Open Air Museum, Ministry of Education and Science, Liv Union, Dundaga district,etc. For more details about the program please go to: www.livones.net which is open to everyone who is willing to contribute to or participate in it.